This is a GREAT presentation that we’ve enjoyed the last few years. Feel free to join us a bring a friend. Stay after for the Fingerfood Potluck. 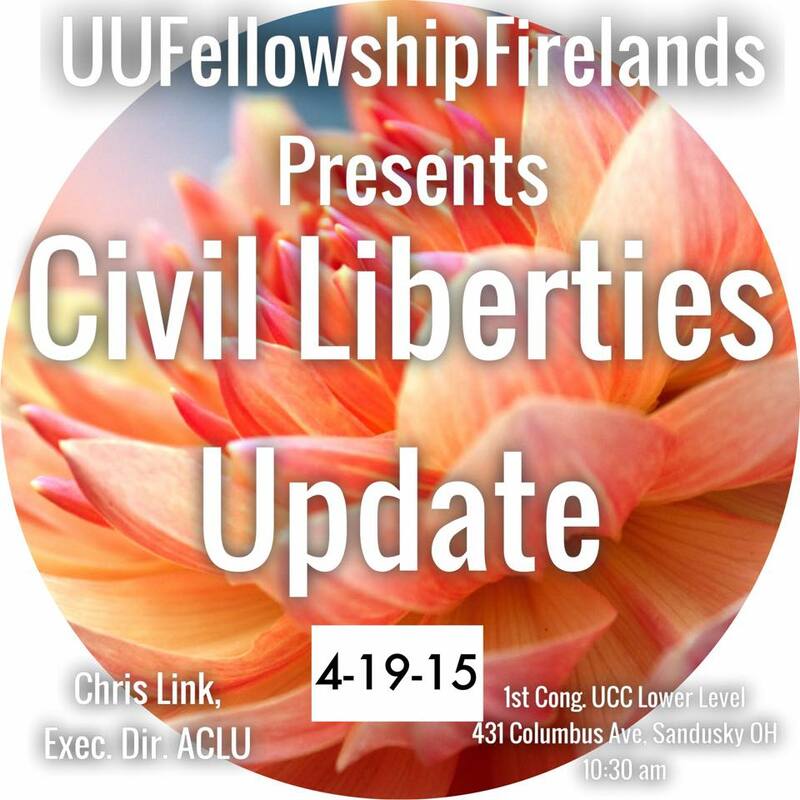 April 19th, 10:30 am, 1st Cong. UCC 431 Columbus Ave., Sandusky. Park in the lot and enter through rear glass doors. Take elevator down to Unitarian Universalist Fellowship. Handicapped accessible. Welcoming, judgement-free zone. 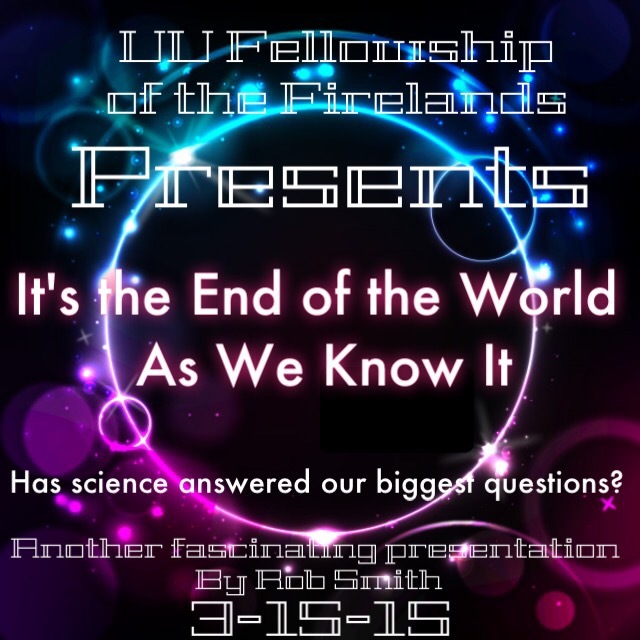 My topic for March 15 will be “It’s the End of the World As We Know it”. The presentation will center on the collapse of the various cosmologies represented in the world’s wisdom traditions. The rise of science has not, however, answered the questions addressed by the cosmogonies that lie beneath the myths. Cosmology vs Cosmogony sounds like a word-riddle, but it captures the distinction between the exploration of science and values.